We were founded in 2002 based on a refreshingly simple idea - to supply world class products backed up with exemplary customer service and local support. This ethos is unchanged since day one and we are proud of our successful track record. 2002 - Company is founded. Products include cable assemblies and PCBA. 2003 - Metal precision components and assemblies are added to our portfolio. 2004 - Commence trading with customers in both the medical and healthcare markets. 2005 - Secure several contracts with leading automotive manufacturers. Begin supply of plastic assemblies and components. 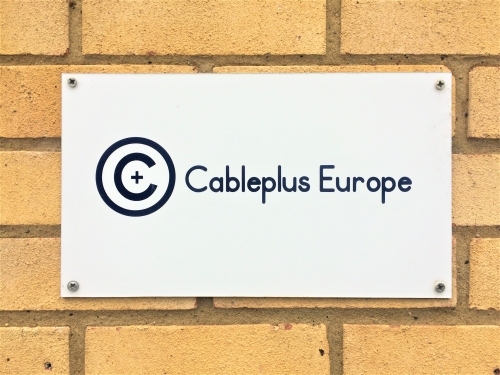 2006 - Cableplus Europe expand to larger premises driven by customer demand. 2008 - MRP system is installed to improve inventory management and customer service enquiries. 2009 - Assist with design and subsequent manufacture of parts and assemblies to the renewable sector. 2012 - We celebrate a decade of successful trading with our local MP. We move again to larger premises in Faringdon. 2014 - The ten millionth item is shipped during April. 2017 - We exhibit at Subcon 2017 for the first time.